Well, to all intents & purposes I intend to keep a decent balance of music, drama, theatre & art themes running on this thing….so here goes…I couldn’t start a day without grinning inanely at myself in a mirror…& as this isn’t always that easy to do I highly recommend kicking off the morning with a hearty dose of Tadpoles….nope its not some new hippy health food freak out, but a gem of quality genius from those fabulous guys The Bonzo Dog Band!!! Slam it on your record player…or if you’re a new fangled git…your CD player…or even more annoyingly…an MP3 (go outside, get your earplugs OUT & listen to NATURE!!!) Listen to the fabulous brilliance of ‘Ali Babas Camel’, which is a joy for all Spike Jones fans:), run around your landing with wet hair & a towel turban to ‘Hunting Tigers’, scream along to ‘I’m an Urban Spaceman’…and last but not least scare your postman to death by howling ‘Boo’ at him through the letterbox! If that doesn’t put a grin on your face, then you’re a pretty dour git…the only warning that comes with this album is ‘Your Neighbours Will Probably Hate You In The Mornings… Forever’ – but a ne fait rein haha!!! 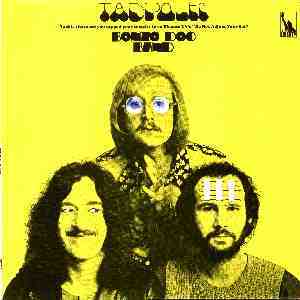 The glorious genius of Vivian Stanshall, who I shall undoubtedly cover in later blogs, & Neil Innes is delightfully captured for all to enjoy here…& if by chance you haven’t heard of these fellas…google onwards & do your research…it will prove most rewarding, that I promise. Now go and Rhino over your lino!! !